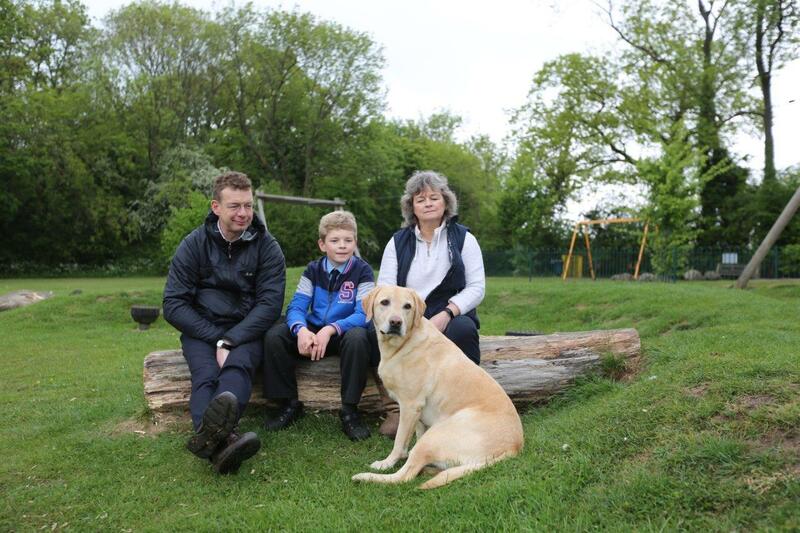 Family: Henry lives with his best friend, 12-year-old Toby and his parents Sue and Clive. Toby has grown up with Henry and since his older brother moved away to go to University, Henry has been his firm companion. His Story: One day whilst playing with a ball, Henry slipped and landed awkwardly. 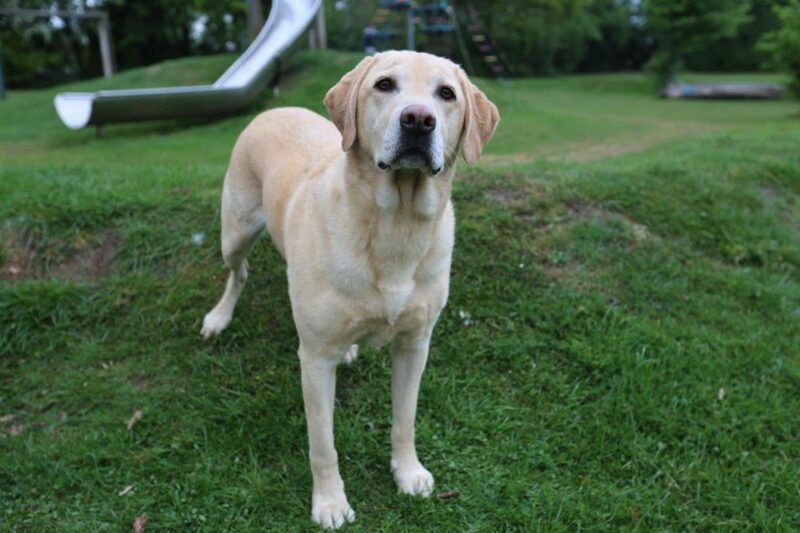 From that point on he was unable to move his back legs properly and was clearly in discomfort, so the family rushed him to Fitzpatrick Referrals and Professor Noel Fitzpatrick to see what could be done. Noel identified that Henry had a high-velocity low volume disc extrusion. He explained that when Henry was out and about he ran after the ball, tumbled over, and as he did so he exploded that disc. A tiny fragment came out like a bullet and hit his spinal cord. Solution: Noel explained that he did not think that surgery was the best option to help Henry, as there was not enough disc material exploded from the disc to warrant highly invasive surgery. He therefore recommended the team at Fitzpatrick’s would provide supportive care, with painkillers, anti-inflammatory drugs and monitor his progress closely. At that point, no one could say whether he would recover, and it could be anything from days to weeks and in exceptional circumstances months for progress to be made. 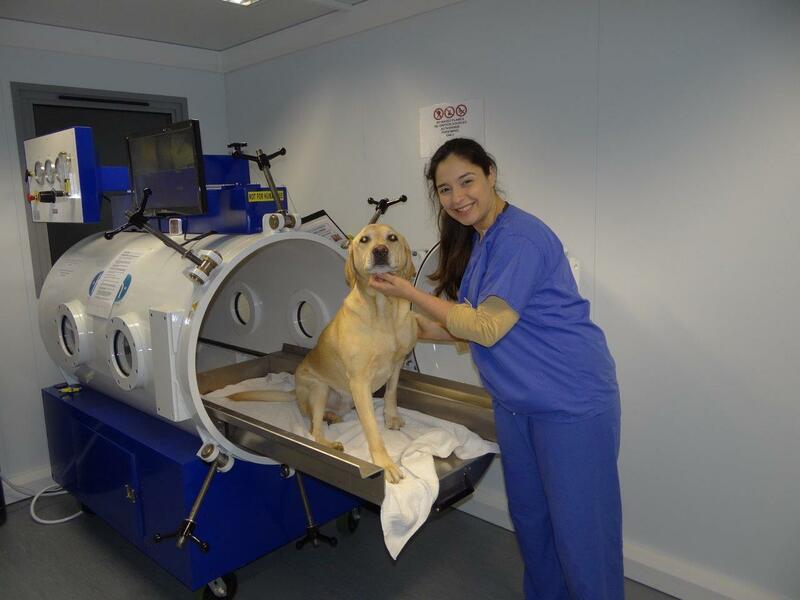 To help aid his recovery, Henry had Hyperbaric Oxygen therapy. The hope was that the higher concentrate of oxygen would go into the red blood cells to the site of injury in the spinal and improve the healing of the nerves and decrease the swelling in the spinal cord. 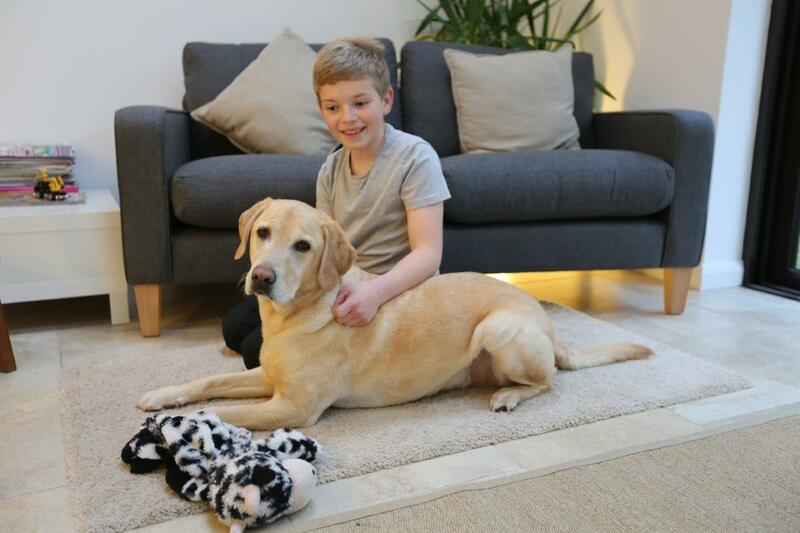 Outcome: Fortunately for Henry he started to make steady progress, and with that, he was able to go home with his family to continue his recovery along with a guide to continue his exercises, physiotherapy and hydrotherapy sessions. The family were so happy to see their boy with his spark back. Just because surgery can be done, and is sometimes seen as the answer – it is not always the case. To operate on Henry would have been putting him through a serious surgery when the natural hunch Noel had was that rehabilitation and aiding the healing process was going to be effective. Thankfully biology smiled, and Henry is now home with his family and continuing to do well.